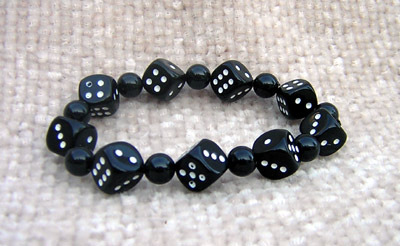 This Bunco Dice Bracelet is fun for most any occasion and especially great for the Bunco enthusiats. Perfect for a gift or for yourself. Wear this Bunco dice bracelet any season. Black with white dots ... One of these great bracelets is simply not enough. Great gift for a reasonable price.